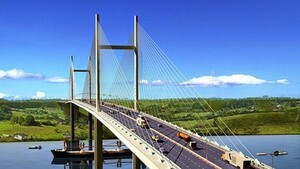 Phu My Construction and Investment Joint Stock Company will officially put into operation a non-stop automatic toll collection system at Phu My Bridge in District 2, Ho Chi Minh City from 9am on March 23. The announcement was launched by the Ho Chi Minh City Department of Transport yesterday afternoon. The electronic toll collection (ETC) are divided into two phases. Accordingly, four automatic toll lanes will be installed at the toll station in the first phase whereas there are additional four automatic toll lanes in the second phase. 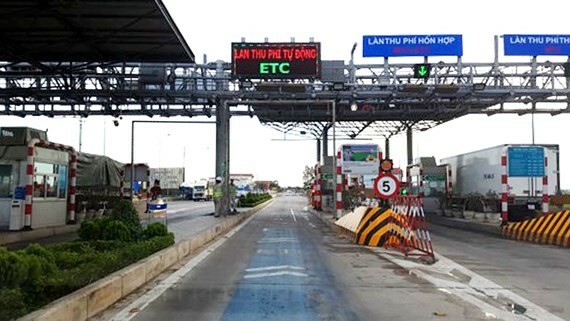 The electric toll collection system will be connected with the automatic toll collection system at An Suong - An Lac toll station in Binh Tan District. At the same time, it is expected to soon connect with all toll stations nationwide. In order to use the service, customers can bring identification card, passport and car registration card to the toll collection station at Phu My bridge, nationwide vehicle registration centers and ETC system provider VETC in order to attach E- tag and open an electronic toll account.